Strata Manufacturing PJSC (Strata), the advanced composite aero-structures manufacturing company wholly owned by Mubadala Development Company, announced that it has been awarded two contracts to manufacture additional composite components and completed major assemblies for Airbus. The combined deals, valued at more than USD $1 billion, will see Strata become a source for Airbus A320 Horizontal Tail Plane (HTP) and A350-900 Inboard Flaps (IBF) in Abu Dhabi, UAE. The news was unveiled at the 50th edition of the international Farnborough Airshow, held in the UK. As part of the contract, Strata will manufacture Airbus A320 Horizontal Tail Plane (HTP). 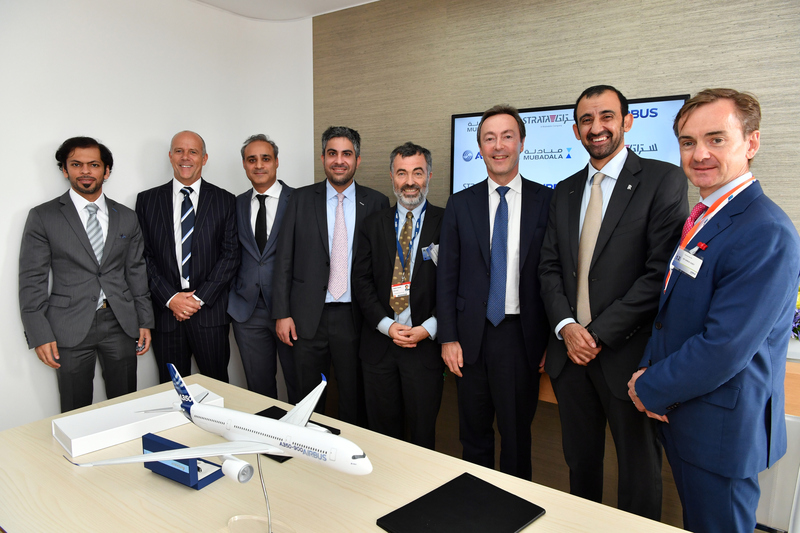 Strata will utilize cutting-edge automation and high rate production technology to ensure that delivery of the Horizontal Tail Plane is in line with the awarded share of the demand for the Airbus A320 family and the quality standards expected by Airbus. The HTP is a primary part of the aerostructure that is located on the empennage of the aircraft. The purpose of the HTP is to provide stability and control. Additionally, Strata will manufacture Inboard Flaps (IBF) for the Airbus A350-900 wings that will extend over the life of Airbus’ most technologically advanced aircraft to date. Inboard Flaps are mounted on the trailing edge of the wing to increase the surface of the wing during takeoff and landing, and improve stability during flight. Mimicking nature, the A350 XWB wings are fitted with unique high-lift devices adapting the wing shape during the flight for maximum aerodynamic efficiency. The A350-900 is built with 53 per cent of light composite materials to help reduce fuel consumption and operating costs, improve passenger comfort and lower the environmental impact of air travel. Strata will manufacture composite components, perform assembly of the components and manage its supply chain from its world-class facility in the Nibras Al Ain Aerospace Park, where it is expanding its capabilities to meet the growing demands of world-leading aircraft manufacturers. From its inception in 2009, Strata has developed the capabilities to manufacture the latest generation aircraft parts to meet industry demands and is committed to play an integral role in the global aerospace industry that will contribute to growing a knowledge-based competitive economy in Abu Dhabi.